Are you searching for the fastest daily 🐦 MTN 0.0k Or Mpulse config file to download for your favorite VPN. If yes? You're in a right place. Today this blog wii be providing out fastest 5 config file for namely VPN. 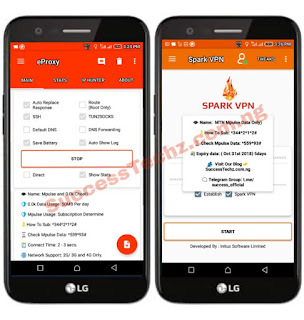 Http Injector, Spark VPN, Eproxy VPN and KPN Rev. This new 5 🐦 Mpulse & 0.0k config file are really very fast, especially for those who do love to browse, stream, and download heavy files online. So therefore, without much time left, let me quickly move on and drop the five fastest Config file below.